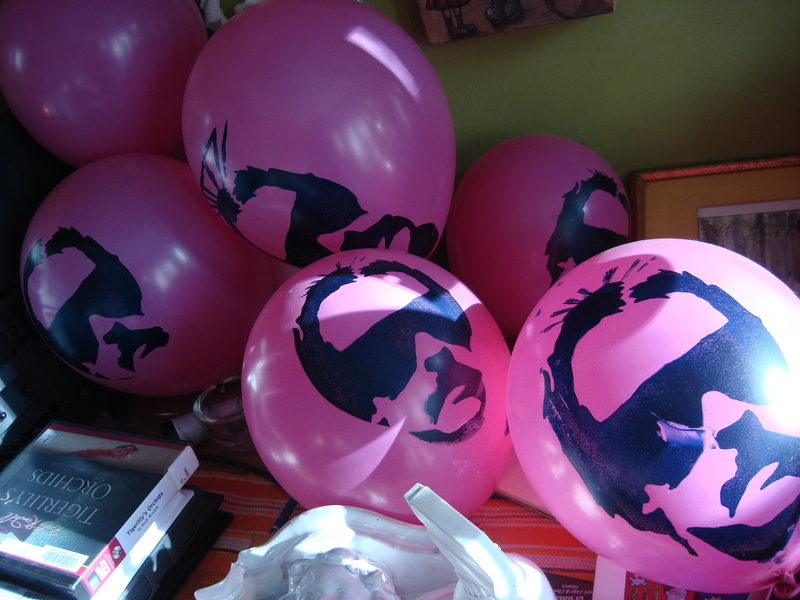 Here are some balloons I silk screened for Uncle Noel’s arrival. 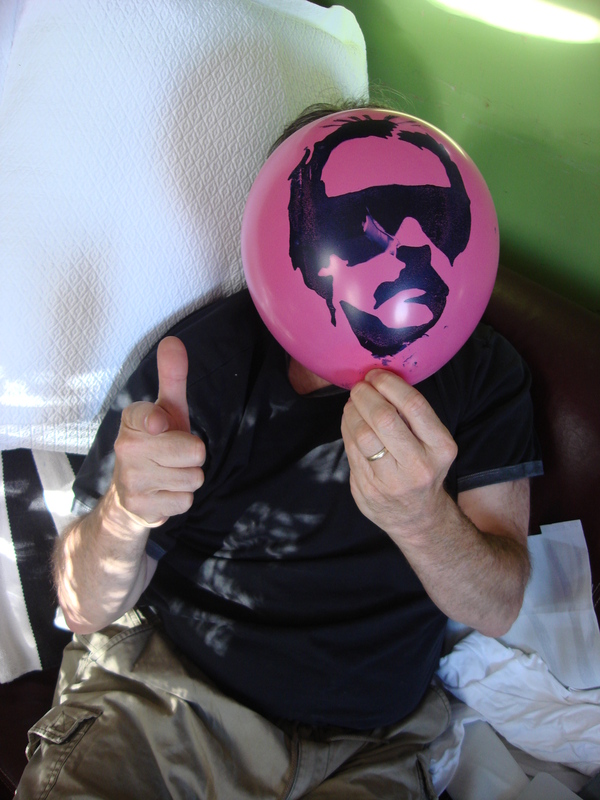 This entry was posted in design, illustration, silk screen and tagged art, balloons, design, funny, peter glanting, silk screen, uncle noel by pgglanting. Bookmark the permalink. This is fantastic! Silly question but is this like screen printing? Great stuff. How hard is it to do? Yes, I think they’re the exact same thing. I think one uses the term screen printing because the screens seldom contain silk anymore. As for how easy it is, it depends on many things. 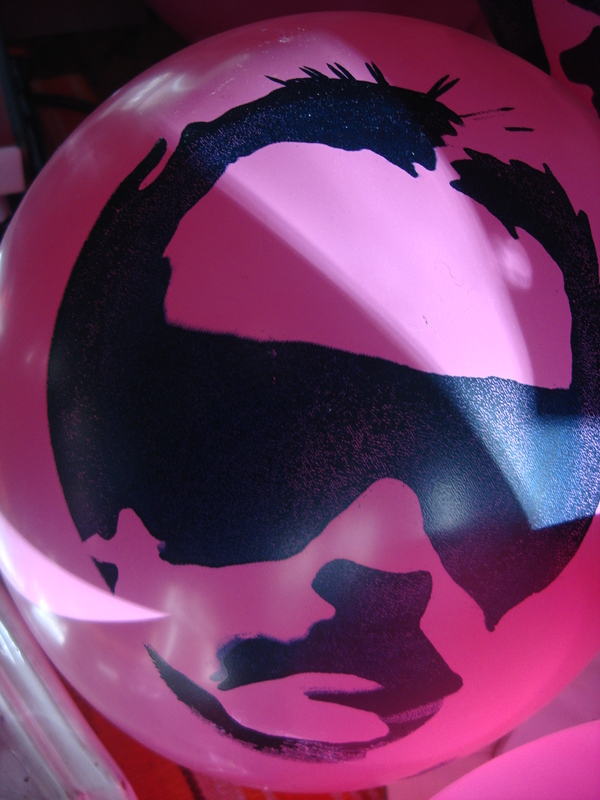 Uncle Noel’s face is a very basic image with no fine lines; a very easy image to print. However, if the design has a lot of fine lines, or the material on which you print is textured, or your ink is runny, or any other myriad complexities, printing can become challenging. I would say it can be easy to learn. I’d start by having someone show you how to expose, “or burn”, a screen.